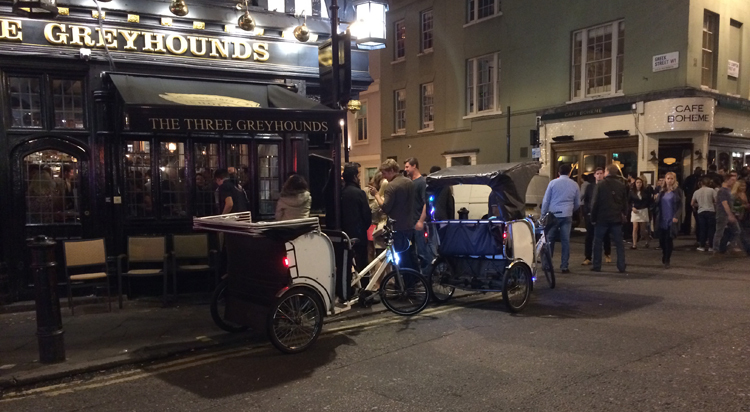 Now this isn’t Ronnie Scott’s [see earlier post] but it’s a very attractive alternative. The performers aren’t always internationally known – though could easily be world class – and the setting is even more intimate that RS’s place. Take pot luck as it’s as much about the company and the atmosphere, and live music is always a treat and often better than you thought it might be from Youtube/Spotify and the rest. The first visit we saw Rachel Sutton – fabulous. Jason Carter with a great violin accompanist, Steve Bingham, and a guest spot by Verity Smith made it a really great night. 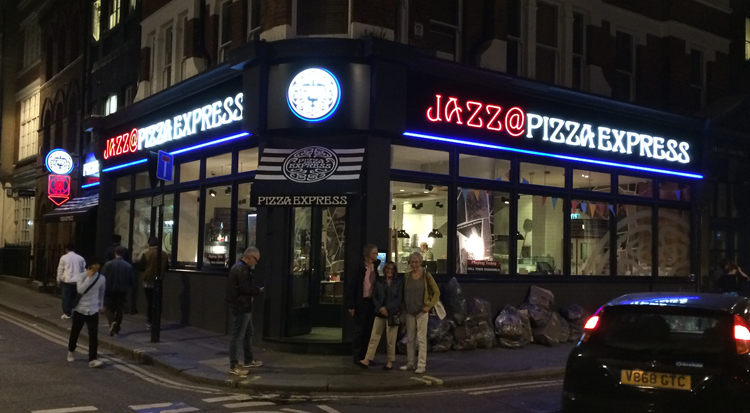 They serve the food right throughout the night, without disturbing the performers or the audience, and it’s good value – well, it’s Pizza Express after all. For the best views go as a 2 or a 4 – the tables for six are at right-angles to the stage so the first two get a view, but not the rest. Good value wine and 660ml bottles of Peroni get the night off to the right start. 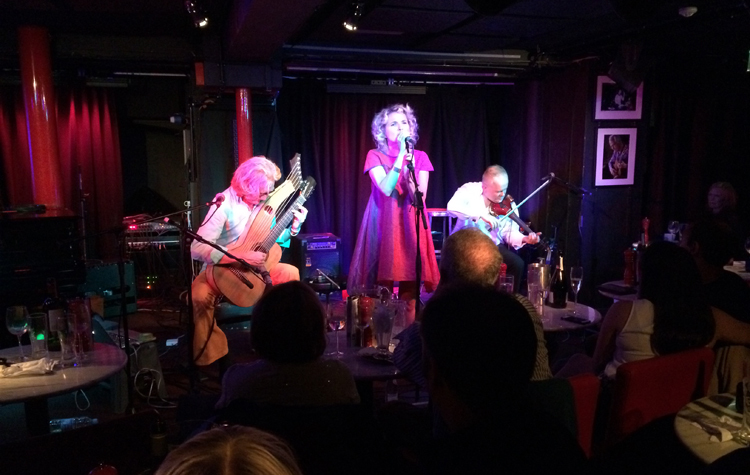 They also have a similar arrangement at the Pheasantry in the Kings Road, and in Maidstone. For us though, the Dean Street one is the place to be.